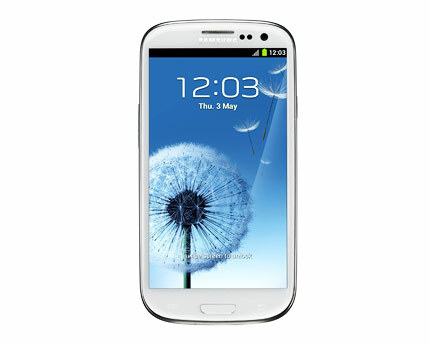 We have a deal on the world’s hottest smartphone – Samsung Galaxy S3. 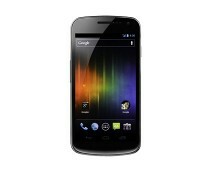 Currently, you can get this android champion free of charge if you sign a 24 month contract with buymobilephones.net. This handset is available with no upfront fee on a two year contract with Three costing £20.00 per month. Monthly allowance includes 100 cross-network minutes, 5000 text messages and unlimited mobile internet data. Unless you talk on the phone constantly, this plan should be an optimal choice. On another note, if you want to dress-up your shiny SGS3 with an amazing pouch/cover that doesn’t embarrass you in front of your colleagues, see this brand. Without exaggeration we’d say that they definitely have one of the most unique and best Galaxy S3 cases online. Why? Well, go and check for yourself. Is SGS3 the best smartphone of 2012? Samsung Galaxy S3 is a very well designed phone. It has a massive 4.8″ super AMOLED 720p screen which will impress everyone with its visuals. The colours are extremely vivid and viewing angle is wide. This smartphone is just 8.6mm thick which makes it one of the slimmest high-end phones on the market. Even though it is so slim, Samsung Galaxy S3 is an absolute powerhouse thanks to its Quad-Core Cortex-A9 processor running at 1.4GHz clock and 1GB of RAM. Given the specifications, multitasking on this device is laptop-like in the sense that you can simultaneously browse the web, run multiple applications and watch a movie completely stutter free. This particular model of SGS3 has 16GB of internal memory. If this is not enough for you, you can easily and cheaply expand it by up to 64GB via microSD slot. 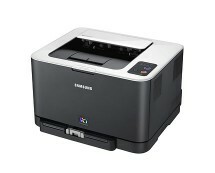 What is more, if you prefer to keep your files in the cloud, Samsung has a sweet bonus for you. Every SGS3 buyer gets free two-year 50GB Dropbox account which at current rate is worth approximately £129.00. Samsung Galaxy S3 has a 1.9MP camera on the front and 8MP camera on the back. The former captures 720p HD video at 30 frames per second and is perfect for Skyping, while the back one can be a real camcorder replacement. 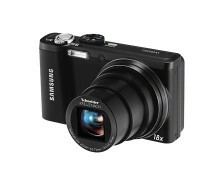 It shoots crisp and noise-free high resolution still images and can capture Full HD 1080p videos at 30 frames per second. Furthermore, Samsung added a useful dual capture feature which allows to record videos and take pictures simultaneously. 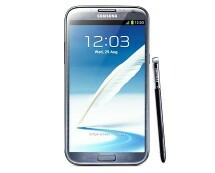 Overall, Samsung is definitely back in the game with the best mobile phone of 2012.